In this comparison article for Natural Balance vs B.F.F. Best Feline Friend, we'll highlight the key differences between these two pet food brands. To properly compare Natural Balance and B.F.F. Best Feline Friend, we'll use up-to-date nutritional and price information. Throughout this B.F.F. Best Feline Friend vs Natural Balance comparison, we've utilized average data to make general comparisons. If you'd like to see individual product reviews, visit our Natural Balance Review Page or B.F.F. Best Feline Friend Review Page. The comparison table above shows that B.F.F. Best Feline Friend wet cat foods provide significantly more protein than Natural Balance. More specifically, B.F.F. Best Feline Friend guarantees at least 10.01% more protein. 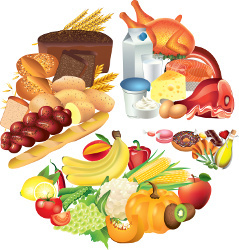 There is a small difference between the fat content of Natural Balance and B.F.F. Best Feline Friend. We can see that Natural Balance guarantees about 3.76% more fat than B.F.F. Best Feline Friend. Product Safety: Recall History of Natural Balance & B.F.F. Best Feline Friend? If you'd like to calculate the average cost-per-day or cost-pet-year of feeding Natural Balance or B.F.F. Best Feline Friend, input your pet's weight into our cost analyzer widget. Averages price data can identify whether or not there exists a significant price difference between two brands. However, the actual price that you'll pay for Natural Balance or B.F.F. Best Feline Friend will depend on your shopping habits. Pet owners who use our price comparison feature typically save more than 25% off retail prices for Natural Balance and B.F.F. Best Feline Friend. In addition, we currently have some great coupons for our readers.